Imagine your guests walking into your wedding reception and noticing a beautiful album with pictures of your engagement photography session sitting on a table next to the seating cards. Instead of a typical guest book with a few lines, your guests can flip through pages of images from your engagement session. As they slowly look at your album, they notice blank pages opposite your images with a place for them to write a note to you, draw a picture, or sign their name. Not only will they see your pictures but they will notice important and fun 'stuff' about you. They might see your favorite poem or where you met. Instead of a typical guest book, they might see a close up of your ring or a beautiful sunset shot of the two of you holding hands. They might read about how he proposed and how she cried. 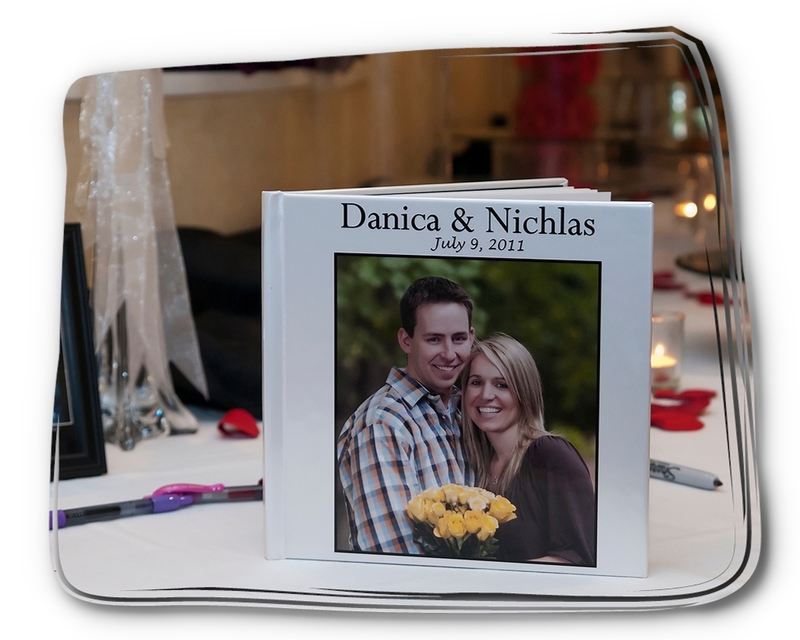 Each page is designed in a manner to express your love on paper in the best manner possible. The front and back cover has an image of you on it that you can display on your for others to see. Below is an image from the entrance of a recent wedding reception near Pittsburgh, PA. The guests use a sharpie pen sitting next to the album and sign their name wishing you (the newly married couple) best wishes, love, and happiness. Many years later you can pull this guest album off the shelf and look at what your guests wrote to you. Maybe you have children and they want to see your wedding day and read about how you met. It could be when you are blessed with grandchildren and you have them sitting on your lap and show them your wedding day. Many different valuable memories are stored on these pages. 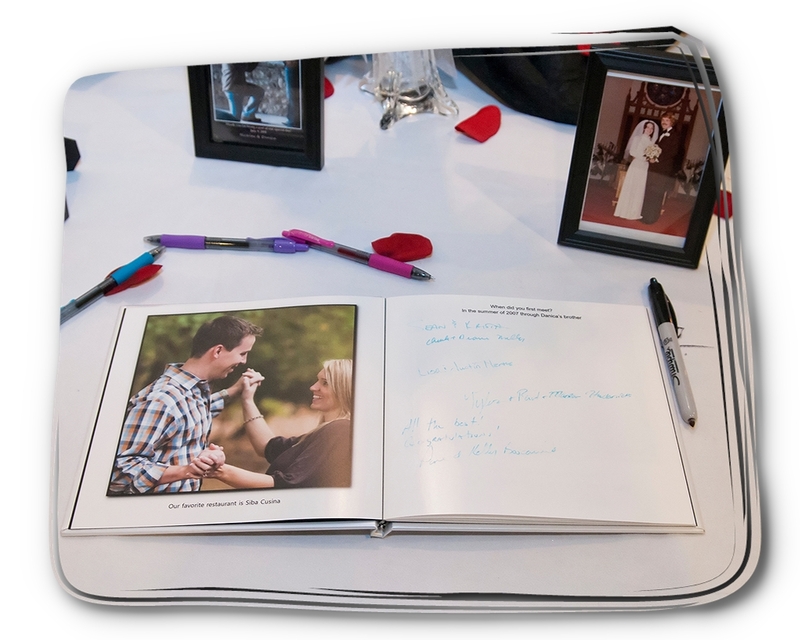 Another tremendous use is for the young couple to write notes for their own keepsake from their wedding day or engagement. The days of 'boring' plain guest albums are long gone. Replace them with an album filled with your memories. 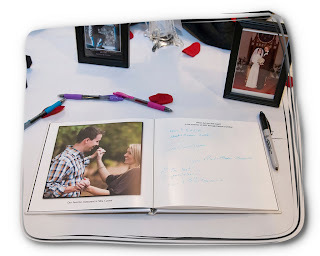 When you book dr frank (Kendralla Photography) for your wedding, and select a package with an engagement session, select a personalized guest book for your wedding reception.